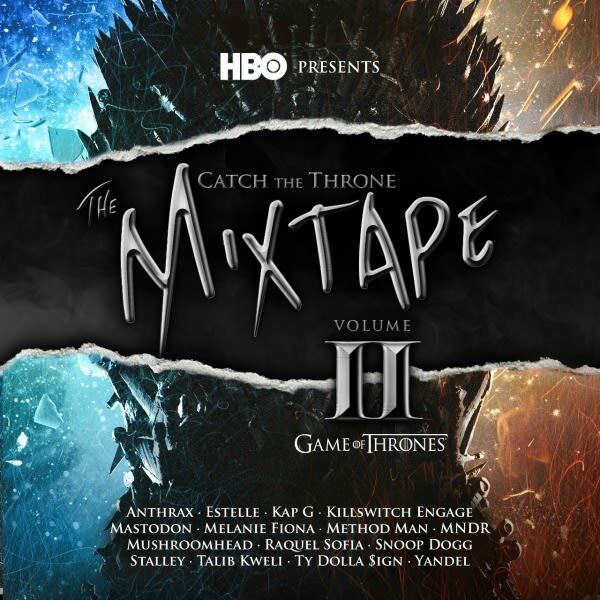 Game of Thrones continues to build excitement for its fifth season tonight with the release of Catch the Throne: The Mixtape Volume 2. The 15-song mixtape includes the previously heard track from Talib Kweli, as well as brand new music from Snoop Dogg, Method Man, Ty Dolla $ign, and more. Method Man opens things up with "The Oath," an ode to the Night&apos;s Watch, while Snoop aligns himself with House Lannister by running down the family&apos;s rap sheet on "Lannister&apos;s Anthem." The entire mixtape is available to stream below.